As per reports by a credit card comparison site, Americans are predicted to spend around $640.5 billion this holiday season and the rate is 3.7% more than the previous year. The shocking part of this prediction is that a considerable portion of these purchases will all be done through credit cards, thereby pushing a few more people into high interest debt. Utilizing your credit cards and store cards to purchase items which you can’t afford has some obvious costs associated with it. Interest rates on the credit cards are outrageously high and that on store cards are even higher. The Federal Reserve sets an average credit card interest rate at 13.93%. So, with this kind of interest, if you spend even $1000 this holiday and make the minimum payments due on the card, you will end up paying more than $400 of interest. On the other hand, if you used a store credit card with a rate of 24.5%, you could end up paying a staggering $1000 as interest. So, if you want to face an ideal situation, you should cut down your holiday expenses so that you can afford to pay whatever you buy in cash. Despite going through such advice of using cash during holiday shopping, Americans just can’t bid goodbye to their habit of borrowing money. Predictions say that they will continue borrowing money in spite of knowing the consequences of becoming delinquent on their loans and credit cards. In case, you are going to borrow, you should look for the cheapest way of doing it. Avert using the store cards totally as they can have a harsh impact on your credit score. Consider getting a 0% card from your bank and use it till you can reap the benefit of the teaser rate. In addition of small monthly payments, you can also get the benefits of no annual or late fees. Hence, if you’re hell-bent on borrowing money, ensure doing it wisely. Are you crazily waiting for the holidays, spending hundreds of dollars on lights, food, gifts, decorations and entertainment each year? If answered yes, you’re not alone as there are many more that are similarly wait to create a blast this Christmas and New Year. While this is the way the Americans spend during the holidays, most of the feel the sting of holiday spending till the welcome the New Year. So, when you’re out in the crowds and thinking of social commitments, consider your wallet and also protect your budget. Here are some tips to stay within your budget even during the holiday season. 1) Know your spending limit: Sit and plan your holiday budget and then take steps to head towards the shopping malls. Gifts, whether small or large can add up on your overall expenses and leave you with a hefty bill amount. You can therefore use the Holiday Budget Calculator to make an estimate of how much money you can spend on the gifts and presents. Then you can track your expenses either yourself or by using Gift Log. 2) Plan expenses ahead of time: So, you’ve created your budget and you’re ready to handle the crowds. But did you save enough money for the shopping list? Well, if you wish to save money on holiday spending, you should look for those special “savings days” at your closest retail stores. Utilize the coupons that you have gathered from your newspapers and all those which you have collected from online stores. Get the benefit of free shipping by buying things online and buy gifts throughout the year so that you don’t have to be subject to highest rates during the peak season. 3) Cut down your list: Take some time to ponder whether or not you really require exchanging gifts with each and everyone whom you have mentioned in your list. If you think, you can chop off a few names, do so. Or you may even suggest giving a group item to a few members of your family rather than giving them individual gifts. Just because you had a long list last year doesn’t mean that you need to have one this year too. 4) Cut down the cost on meals: Meals are a great way of bringing people together during holidays. However hosting these meals becomes a dear matter and this is what translates to overspending. 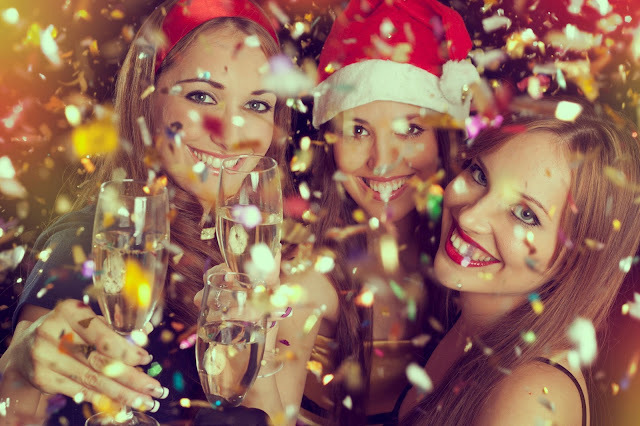 If you’re the one who normally hosts a holiday party, you should cut off on the number of guests you call home. Ask someone else to do the cooking or you may even arrange a potluck party. This way you can give opportunities to your friends to display their culinary skills and you can save money on the other hand. 5) Keep tracking your expenses: Cash is king and it is pretty easy to stretch your budget with the help of your credit cards. If you use your cards for convenience, you would never be able to stay without debt. Therefore, it is better to buy only that which you can afford to purchase with cash. Also keep tracking your expenses from time to time so that you have a clear idea of how much you’ve spent till now and how much money you can spare to spend for your holiday expenses. 6) Watch out for sales pitches: During the holiday season, most of the consumers practice impulsive shopping and hence giving in to sales pitches of the shopkeepers is pretty easy. Hence, you should be an educated consumer and avoid getting tempted by the attractive sales pitches by the company salesmen. The bottomline is that you need not dig yourself into debt to spend a memorable and a happy holiday season. Keep your finances under control and this will help you keep all the other challenging aspects of holidays under control. Keep calm and stay within your budget to avoid a debt hangover.